We’ve enjoyed some exciting action with both black and blue marlin over the past couple of months. 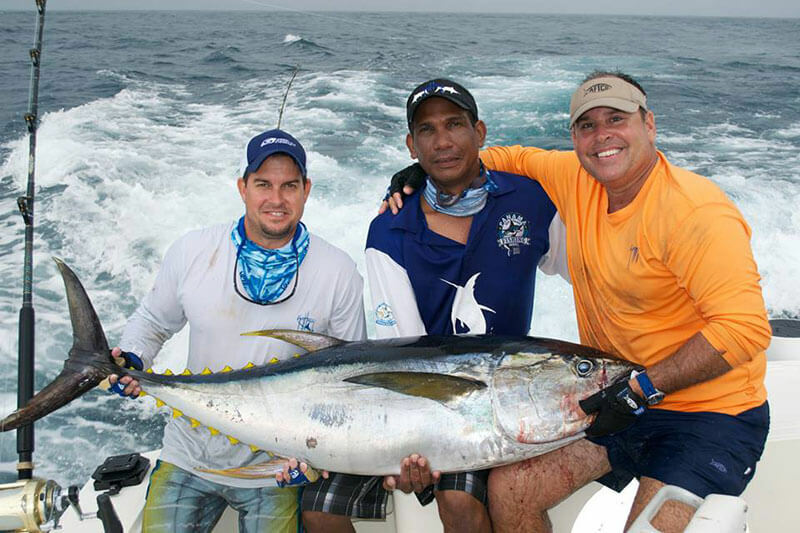 But the big yellowfin tuna have been sporadic, with some boats getting really lucky, and others only catching a few. Inshore fishing has been fantastic as usual, with many huge cubera snapper, roosterfish and amberjack being caught. September brought the arrival of wahoo in numbers with a few large blue runners. The fishing is now expected to be excellent, but for a month after the middle of October the seasonal rains will stop many anglers from getting to the action. The fish will still be on the bite, but you will have to pick your days and fish according to the weather.